I have had a very challenging week and have had to make a very difficult decision. I still have to work through some things and I hope to have more information next weekend. 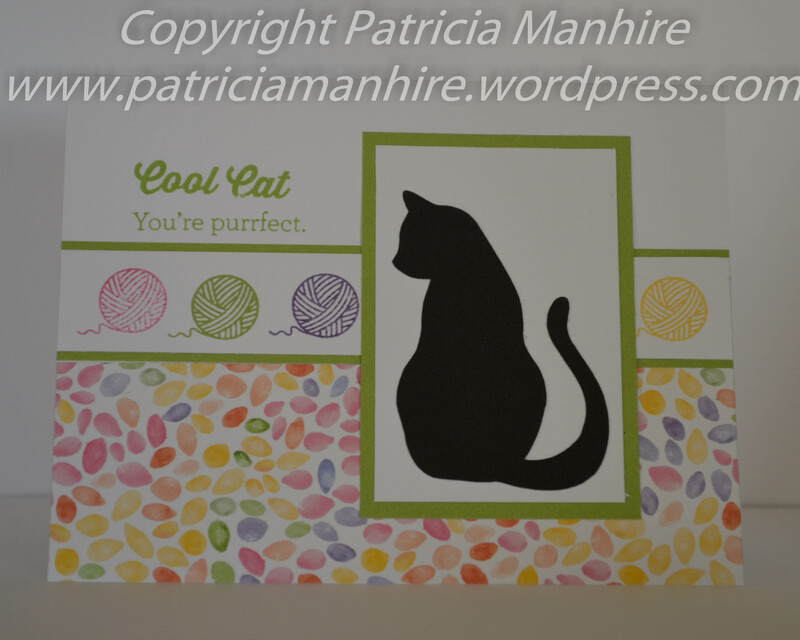 In the meantime I took some pet related products to a Pet Exp in Upper Hutt yesterday so I managed to squeeze some time to make some pet related cards using the two pet stamp sets which are so cute – Love My Cat and Love My Dog from CTMH. 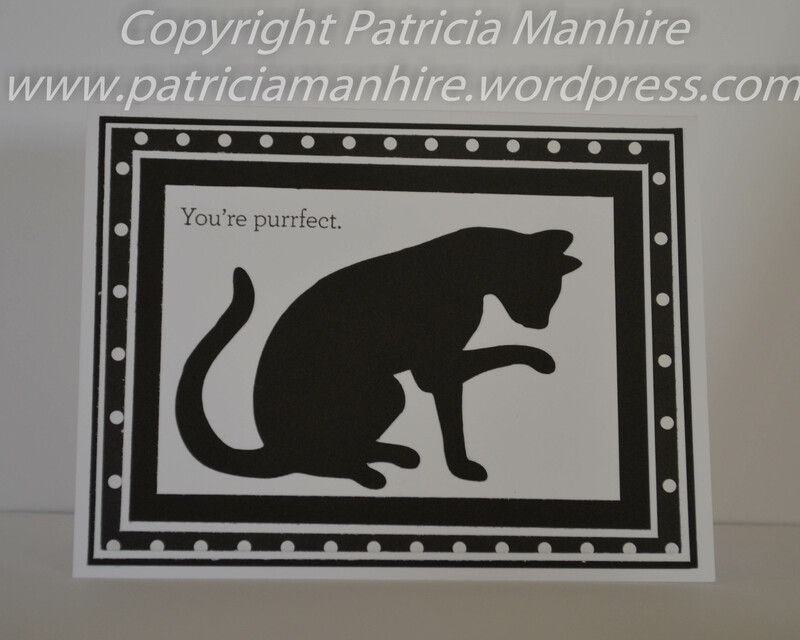 Plus I have also used some Artistry cat and dog cuts and some very cute animals from the Creata Critter 1 Cricut cartridge. I have also used a combination of different papers to make a mix of feminine and masculine cards. These two cards have been made using the Kaleidoscope papers and are very feminine. 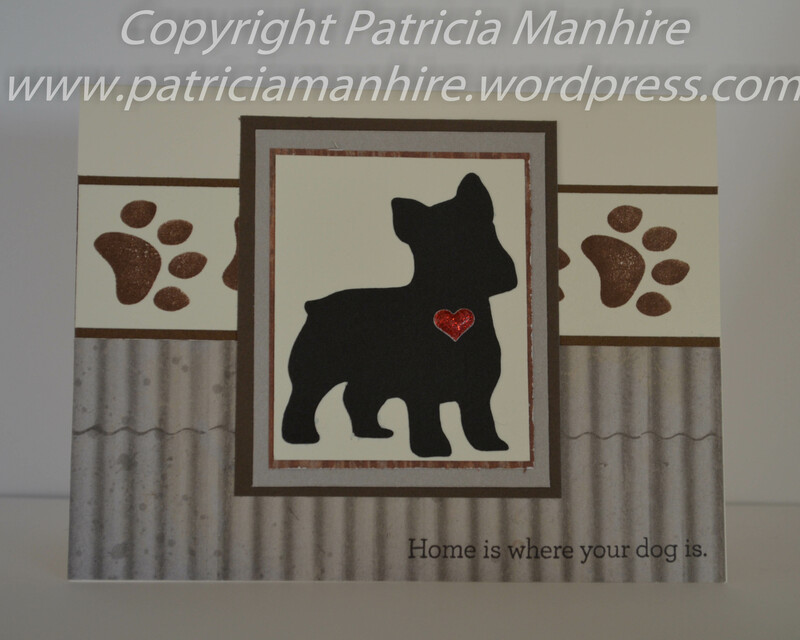 The scallop is from a Spellbinders beaded oval die and framed the very sweet poodle nicely. 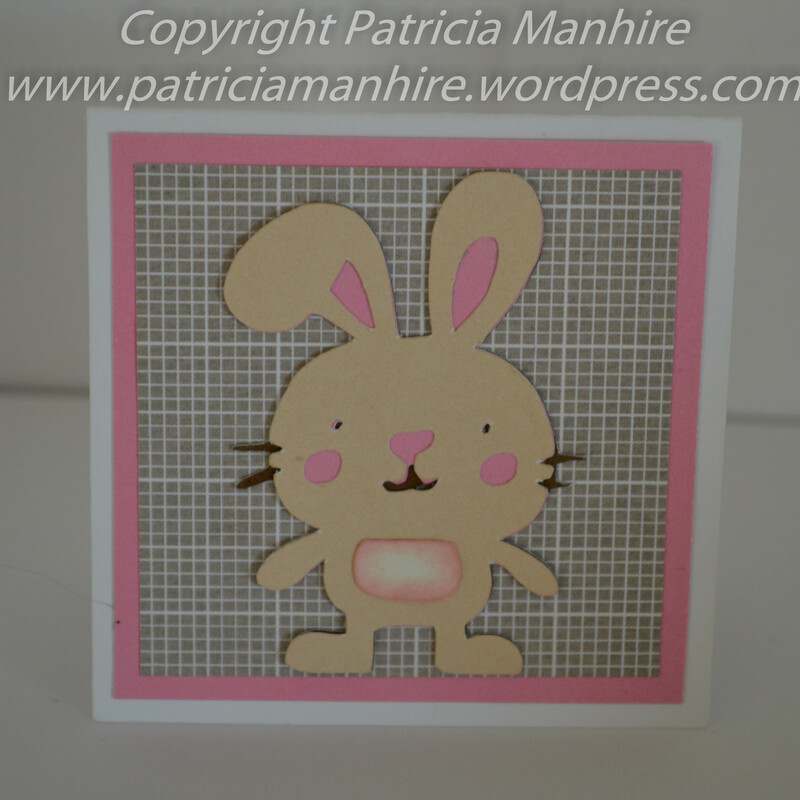 This is a little 2″ x 2″ card and is so cute. 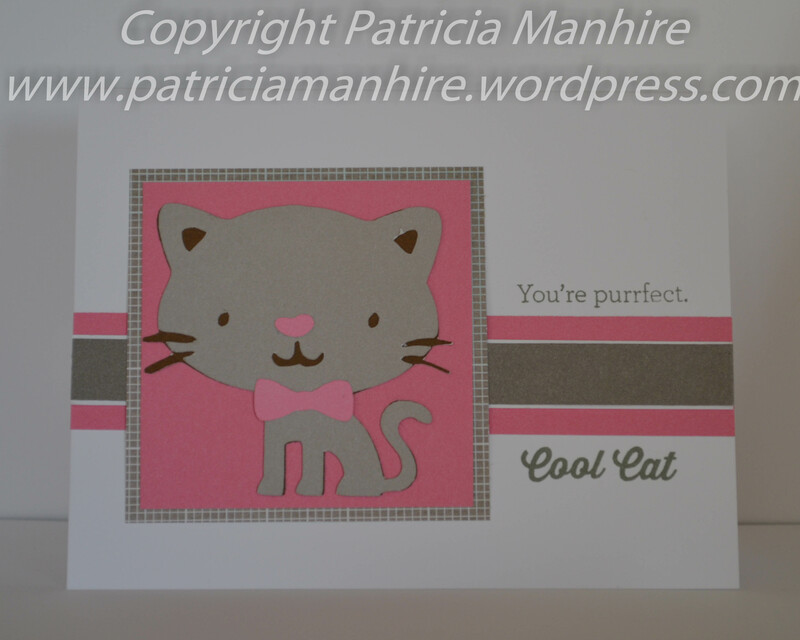 I love the pink and grey combination of this card to make a very feminine card. 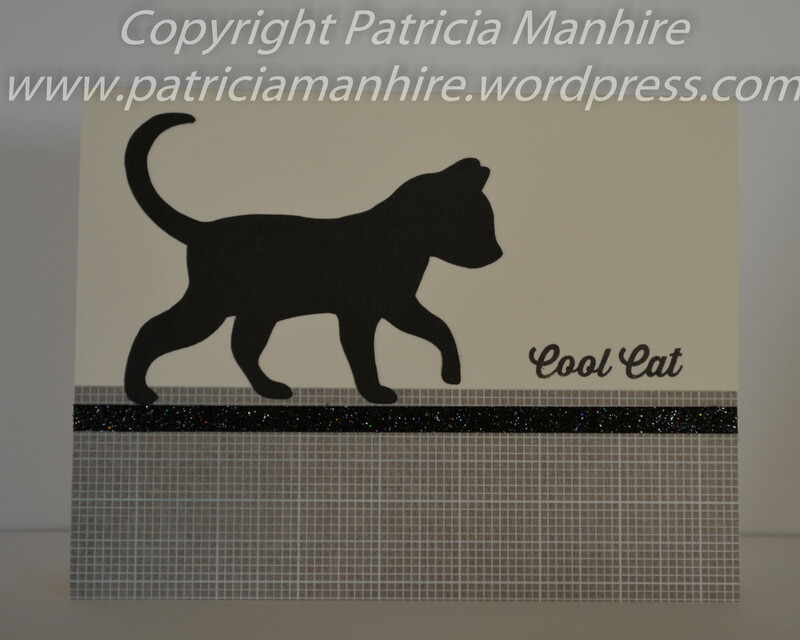 A very masculine card with a strip of black glitter paper. This card features Sangria papers. 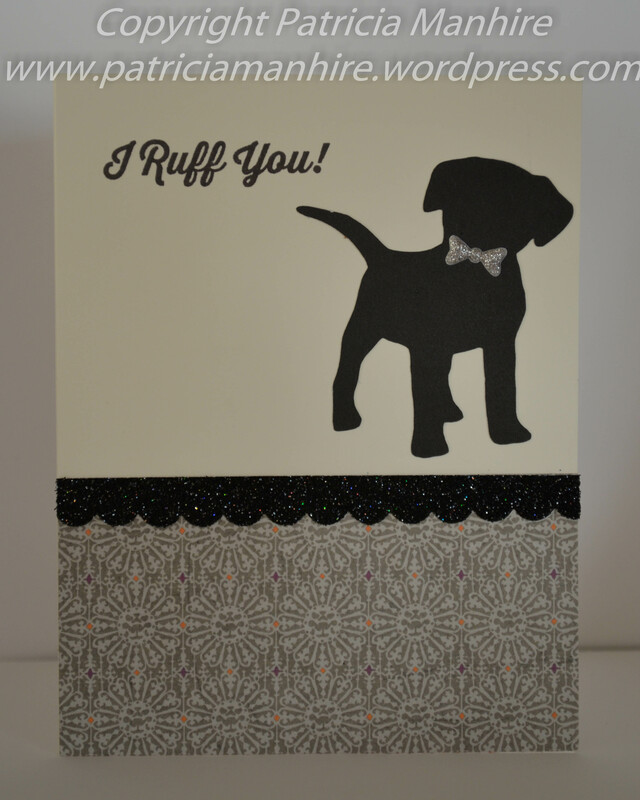 Another very masculine card with Urban papers. 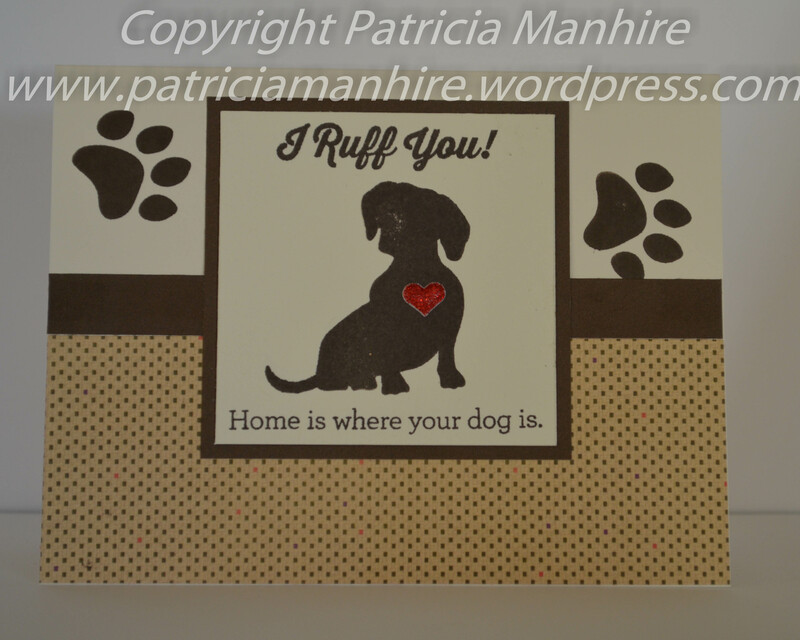 A very simple card using Nevermore papers and a trim from the black shimmer paper trimmed with the scallop edge punch. Love the black and white elegance using the dotted paper from Le Vie En rose papers. 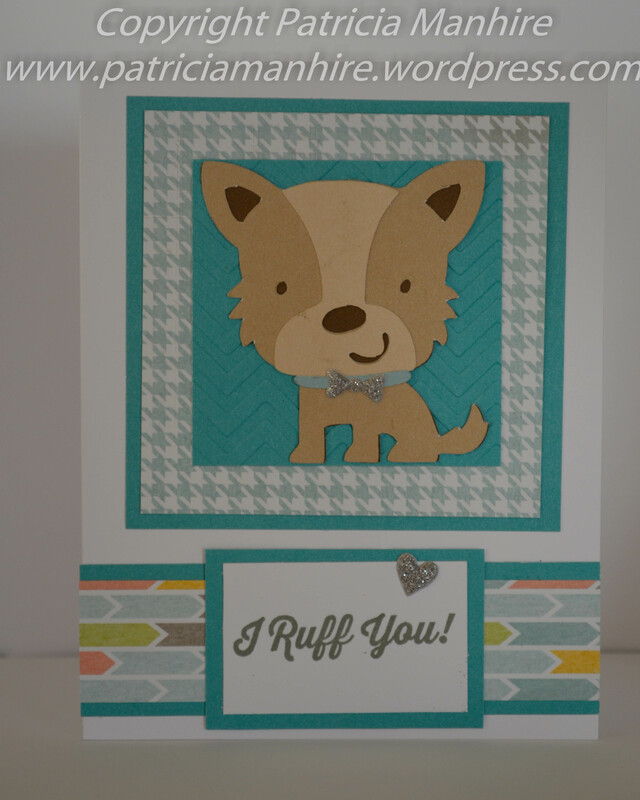 A card using Zoe papers. Finally a very cute little 2″ x 2″ card featuring an owl. 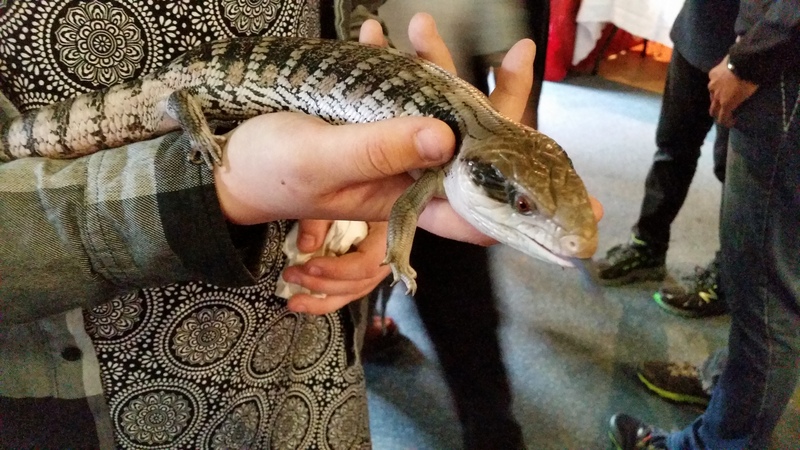 It was a great day at the Expo and I saw a wide range of dogs and other animals including seeing my first blue tongue lizard up close. 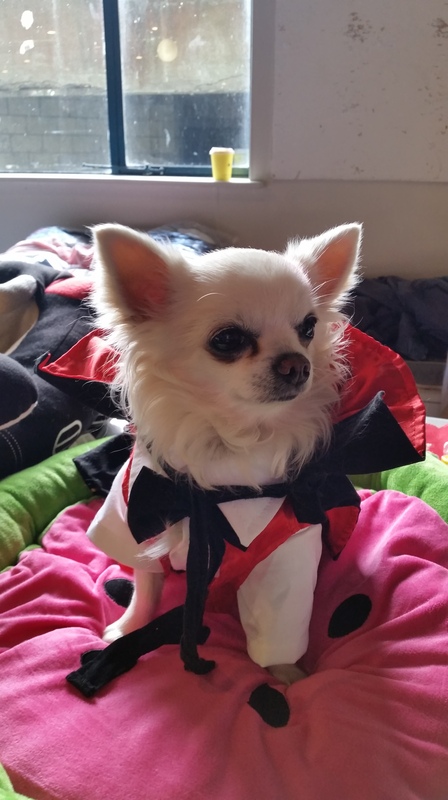 And this very cute chihuahua dressed up as Dracula for Halloween. These cards will be for sale at Gift Hutt.